VANCOUVER, Jan. 29 (Xinhua) — Some top chefs from Canada, China and France joined forces here Friday evening at a popular restaurant to showcase the best of East and West as part of the city’s 8th annual Chinese Restaurant Awards. 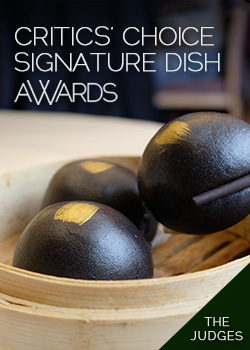 Since 2008, the awards have been a highlight of Vancouver’s unique and exciting Chinese culinary scene. The awards nowadays serve as a restaurant and dining guide for food lovers by recognizing the top restaurants in the city in categories such as best Chinese dish, social media award and diner’s choice award. Craig Stowe, Chinese Restaurant Awards president, told Xinhua that the Chinese Restaurant Awards are a celebration of the unique culinary achievement in Vancouver. “We have over 350 restaurants that specialize in Chinese cuisine, so northern Chinese, southern Chinese, dim sum, noodle houses, fine dining. It’s quite amazing,” he said, adding that Vancouver is one of the top places outside China to enjoy Chinese dishes. On Friday, organizers invited three top chefs from the Shangri-La hotel chain in Vancouver and Paris, as well as one of Vancouver’s top pastry chefs for a multi-course dinner. The theme was “East Meets West,” with the chefs taking turns presenting their top dishes inspired by both Western and Chinese ingredients, techniques and traditions. The event organizer said Vancouver has been going through a culinary transformation, with Chinese restaurants becoming an important part of the food scene. Stowe said the food scene here has started to reflect the changing population and tastes. “In Vancouver, what’s happened is half the population is Asian and a big portion of that is Chinese,” he said, adding that the city had a wave of Chinese immigrants from Hong Kong in the seventies, and a second wave from the Chinese mainland later.